‘Do to me just as you promised,’ she says. Words from the mouth of a young girl in ancient Israel, a virgin, never married, facing news that would shake her to the core. However, this isn’t the story we expect. She is not Mary. Instead, a girl we don’t know; I wish I knew her name. We know a little of her story from Judges 11 and our hearts ache when we read it. Her story was told and retold for thousands of years: after her father’s battle victory he had to fulfil a conditional vow he’d made. A cruel and foolish promise that he would sacrifice in thanksgiving a burnt offering of whatever came out of the door of his house on his return to greet him first. Perhaps a goat would run out. A lamb. Or a working animal, like an ox. How did this military man not calculate or expect his only child, his daughter could be the one? That she would run to meet him singing? What is the sound of victory if it costs you all you have? So his heart broke. If only he had vowed differently. If only an animal had come through the door first. But now the doorframe must be painted with the blood of his daughter. Two girls, two futures changed by events outside their control. They each get a few months to ponder and get away. 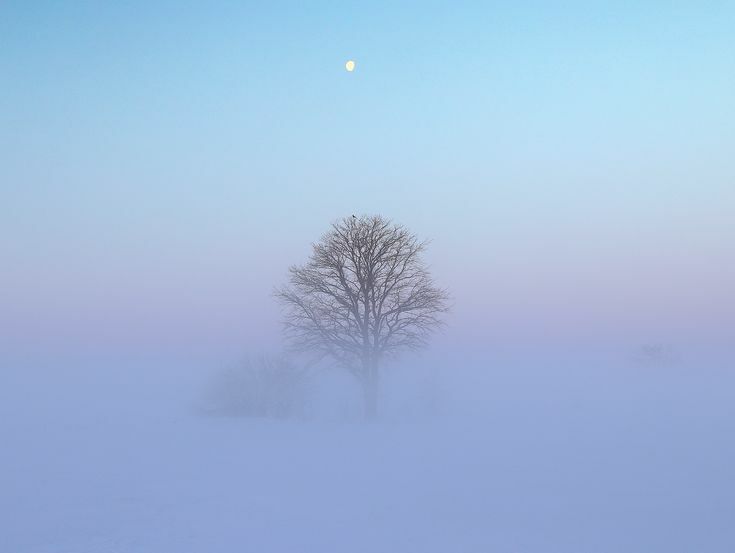 One stops singing to grieve what is lost and the other learns about pregnancy and birth, singing and silence. The sacrifice of the warrior Jephthah’s daughter comes after a victory, and although it seems senseless to us, in his eyes it must have felt connected. The sacrifice of Mary’s son many years later looks senseless as well, but is a necessary step in a victory too. The grief and the love go hand in hand. The victory and the sacrifice. Today we see the children of Aleppo being sacrificed and we grieve lost futures, lost hopes and foolish promises. They did not opt in to this. Their sacrifice is not necessary. Their blood on doorframes is a violation and an outrage. What kind of victory can possibly happen here? ‘Nothing is impossible with God,’ the angel tells Mary. ‘He has lifted up the humble,’ she sings later as she understands. God alone turns things around from chaos to order and from despair to hope. O Lord God, lift and bless the children of Aleppo today. Free them from the fighting and the fear and the mess and the madness. End this senseless war and plant peace, deep, life-giving and fulfilling in every heart in the region. Show us doors of life instead of broken buildings. Your treasure is where your heart is. So said Jesus, as well as Albus Dumbledore. You steer towards the things you value. You invest in what means the most to you. For many of us it is our status, our children, our belongings, our future. For some it is a higher cause or service of those who need our help. For me as a Christian my investments only really matter if they have an eternal dimension. ‘Don’t store up treasures on earth,’ Jesus says, ‘store up for yourselves treasures in heaven.’ In heaven there is no decay, no stealing. Some of my friends stand to lose a lot financially because of last Friday’s Brexit result. Houses aren’t selling as quickly while people wait to see if the values drop. Markets are volatile. Prices are looking to rise. The pound won’t buy as much abroad. Shares and stocks are dropping. 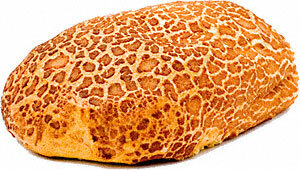 If these things are our true treasure, we will despair. It’s evidenced loudly on social media and the indignation is catching. Our treasure is never going to be worth much if it is in stuff. Stuff is only ever secondary in the big scheme. Love comes first. Some of my friends stand to lose a lot of dignity because of their race or perceived race. Now in my late 30s, I belong to a generation where I genuinely have to stop and think whether someone is racially ‘different’ from me and colour is an odd concept. So many of my good friends are truly international and I wouldn’t have it any other way. There are groups of people using 52% as a mandate to behave in shockingly racist ways. But there is a backlash of people standing up and rejecting that, which is encouraging. My Divided Kingdom is far more outward looking than last week’s result implies. Our dignity is at stake if others belittle us or when we allow our brothers and sisters to be belittled. Let’s resist the indignities and celebrate our diversity and the value of each and every one. Our true value can only be found intrinsically; we are created, loved and given purpose by an Almighty God who cares about us. Love comes first. Some of my friends in the arts, higher education and sciences stand to lose out when EU grants do not come their way in the future. We will need to be imaginative. We will need to wait longer for some things: good things too. We will need to be humble. We will need to ask questions and find ways to continue working hard, co-operating and pushing boundaries. Love comes first. Some of my friends in parts of the UK where a lot of EU money is spent stand to lose out when cuts impact on their services and options for improvements or subsidies. Some of the rest of us will need to see more austerity measures as a result. Love comes first. Some of my friends who voted Leave feel that the campaign was disingenuous and that they have been lied to. Those who voted Remain are grumbling that the exercise was not even necessary. There have always been liars and gamblers. Self-interested greedy people and those unaware of the consequences of their actions. There always will be. Neither the Leave nor Remain side behaved well in the campaigning. And, as a nation we have failed to counter ‘free press’ with wholesome PR on what has gone well in the past. We have given politics a bad name and mocked Europe unfairly. Some of the consequences will, no doubt, wake up some of the Leave voters to what they signed up for. But are we surprised we were lied to? That the facts were complicated and not presented fairly? That a binary decision given to a hurting country would not be used by masses of those who felt marginalised to try and shock their leaders (at any cost)? What’s done is done. The grumbling will go on and the memes will echo around the internet, but we don’t need to remain miserable. Love comes first. Some of my friends felt like they had no voice and no power. They voted to try and change that. We need to listen to the hurting voiceless millions. Love comes first. Alongside the memes, the anger and the confusion following the UK’s decision to leave the EU, I’m aware of a lot of worry. Uncertainty leads to volatility and panic. Or at least, it can. I have spent a lot of time in the past few years finding ways to address anxiety and fear. Even rational fear needs looking at from time to time. So my reaction to Brexit includes anger, sadness and disappointment. But it does not include a great deal of worry. Because worry is not the only thing we can do. The opposite of worry is Trust. Trust means we have a leader. Trust means the leader is actually in charge and actually has a plan. Trust means we know there are storms coming, but we can weather them, because the leader already has a port ready for us. I know this is true because my leader has never failed me through all my own storms and through the lives and stories of countless others I know who have been through storms large and small. It is tried and tested. I know it is true right through my being: heart, head and soul. Trust takes the anxiety out of the days ahead. Don’t be anxious. If you want to know more about Trust there are many ways to find out. Ask in your local church. Ask your Christian friends. Ask discreetly. Ask God directly. You know, I voted Remain but I can see that we need to pull together as a country to make Leave work. And you know why? The day after Ascension, who grieved? It is a very odd part of faith, the ascension. We don’t focus on it a lot in my tradition; the date falls on Thursdays. Jesus, killed on a cross on a Friday during Passover. Raised from the dead on the Sunday, marking a new celebration day in the week. A new first day. Then multiple appearances in various locations, to numerous doubters and followers. He sat and ate with them. Talked and explained. Listened and loved the lost and the confused. Those close to him were convinced that he was indeed alive. Just like the 40 days in the desert before his ministry years began, there were 40 days in which this post-resurrection Jesus continued to baffle and bookend. Unfettered by any human control, he chose who to present himself to. He did not intend to take Israel as his kingdom by force or to oust the Romans. Instead he repeats his earliest message: the kingdom of God. The proximity! The invitation! The kingdom of God demands an engagement with Someone and a relinquishing of Self in order to be fully Alive. It turns one’s heart’s desires from self-promotion to praise of God. And in that moment the wonderful realisation of knowing what it truly means to be Loved. Human love is just a shadow of this Love. These turners, these followers, these men and women baffled and bruised by life choose Love. They are the start of something, but they are not enough on their own. They need a spiritual encounter and a promise of help and strength. So God does the unimaginable – again. He separates. From day one he had been separating light and darkness. Now he separates from those who turned to follow him. A significant separation of a physical body with limits, before a spiritual meeting with his followers. The practicalities are not even that important. An ascent – lots of witnesses – and a junction in the story. And grief remains in our world in the mess. I didn’t know any of the celebrities who died in the past year, but I grieve at the end of opportunities, creativity, laughter. I think many of us do. The separation is out of our control and we don’t want it. Two months ago my granny died. I don’t want the separation and the emptiness when I return to her home. I don’t want the grief, though it tears through me. She was a war-time evacuee. A left-hander in the wrong era. A girl who thought her mum was her sister – raised by her granny in Notting Hill and ignored by her father. She lived most of her life in Devon and I rarely saw her out of the county. She was stubborn. Hard work. Kind, but firm and she didn’t suffer fools. Forged in her generation with scars and dashed dreams of her own, you needed to meet her on her terms, which was hard. She had a strange sense of humour. One time, for a surprise, she arranged a tour for me of the local sewage works. She had been a model. A cinema owner. A mum. She was brave, and witty, and under-educated. But now she is dead and next week I return to Devon to sort through her clothes with my mum. A task of turning and of separating and of grieving. I think it is ok to grieve. Even the painful things. Our hearts expect it. I think it was ok for the followers to grieve, following Jesus’ Ascension. Things had changed. When something changes and we feel the weight of separation we long to express that. For some it means retracing and recalling. For others it is far more private. Grief is heavy and the price is high – the BBC are saying today that broken hearts are a real thing. But, after grief? After the initial rush of emotions? Once the pain has become more calm? This is where Hope lives. And the Ascension gives me Hope. I can hope to meet my granny again. She shared my faith and she lives and I will see her and talk with her again. I can place my hope in God, though I hate the separation of death. He lives and he is not controlled by death or by physical limits. I can hope for good things and know that there is more than the mess and the stink of grief and separation. There is a kingdom I am part of and my eyes are fixed on Jesus. I know where I was on September 18th 1990. I know where I was because my geography teacher – a man whose name I cannot now remember – asked all of us what day it was. We were thirteen. Our teacher seemed genuinely angry and upset that we did not know what day it was. How could we? We had no means of finding out in 1990 without leaving the classroom. So he kept asking us. He was not a good teacher and I made a mental note that this method would not work. He despaired, shouted at us a bit and put on a video. A VHS with a fuzzy picture and trippy colours on a hulking cathode-ray machine with clunky buttons. It was loud enough to wobble the tubular trolley. There was lots of sound and anger being performed at us. Some of us were a little scared. Our class watched in confusion as Jimi Hendrix performed guitar riffs with his hands and his teeth, on his knee and behind his head. There was certainly skill being demonstrated, but like a fine wine or a decent book we did not appreciate exactly what. We were thirteen. Happy that he had berated us enough, our teacher told us that the date that day was exactly twenty years since Jimi Hendrix’ untimely death. We looked at each other. So now we knew. Some of us still had no idea who Jimi Hendrix was, so our teacher took it upon himself to tell us. It was not much of a geography lesson. I think this was the teacher who also tried to teach us how to make cocaine from the plant, should we find ourselves in South America. (It was not the best of schools but I learned a lot about how not to teach there). I never became a fan of Jimi Hendrix. I never became a fan of David Bowie either, but this week I have learned why. I thought of him as a provocative and promiscuous glam rocker, caught in all the trappings of fame and success and one of many provocative artists – so what was new? I was not interested in music which broke the mould because much music does that. I felt the Bowie experience was hollow and unsophisticated. Also irritating and showy. And amoral. And broken. I judged him, and today I have understood something about myself in that and why I need to stop judging. Forgive us our trespasses, as we forgive others. I have no right to judge. I did not even realise I was doing it. Here was a guy living out his life in full colour, whatever my own feelings were about those colours. It is not for me to judge him. I can like or dislike his music, his opinions and his actions, but it is not for me to judge them. The difference is important. Do not judge others and you will not be judged. I still do not identify very much with Bowie and I still don’t warm to his musical styles, but I have made a small step forward. A moon-step, if you like. He, like me, was only human. And sometimes all of us, as humans, recognise that we have limits. And we do ourselves all a great favour if we refuse to let our differences divide us. When we look closely, we find that we have more in common than we may have realised. This is the third and final part of my Grandad’s memoirs on his experiences landing in Normandy 70 years ago. See Part One and Part Two first. A few days later we had passed through the village and took up a new position adjacent to the River Odon. Our function there was to repair a slight amount of damage to a small road bridge, and to stay on hand if it was further damaged, including building a replacement bridge if necessary. On the morning of our arrival the OC decided he wanted a reconnaissance patrol sent out across the river to try to detect the position and activities of the enemy. My platoon commander, Lt Bob Martin at the age of 40 was the oldest officer in the company, and for some reason seemed to want to prove himself by volunteering personally or on behalf of his platoon for anything which was a bit dodgy. So it was that a corporal who I disliked greatly was detailed to lead this patrol. He reacted by producing an attack of hay fever, which if genuine would certainly have precluded him for the job, which had to be carried out with stealth and in complete silence. A substitute had to be found, and guess who drew the short straw! So, having smudged our faces, put on our woolly hats and plimsolls, tied down the shackles of our rifle slings with string and synchronised our watches, off we went to spy out the land. We did not come across anything of great significance, although we did hear activity and some movement of vehicles and equipment, but it would not have been worth the risk of exposure to have ventured closer. So we returned at the appointed time and place and I duly reported. Once again our quarters for the night were slit trenches in an orchard, this time adjacent to the bridge. Fortunately some excellent slit trenches had been left for us by the Canadians. They even had a partial sawn log roof across the centre portion. But there was little enough room for two men, with one hunched up at each end. The next day we were instructed to dig more slit trenches on the bank across the river. This was easier said than done. At the spot where I was digging I struck rock at about 12 inches, and there was no hope of getting deeper, except perhaps with a couple of gun-cotton primers! I gave up at lunch time, deposited my small kit in the shallow hole, returned to the bridge site and consumed a cooked lunch. It was a Thursday, 7th July. What happened next is something I will always remember. We were standing on the bridge, myself and two other NCO’s, Jimmy and Bill. Suddenly we heard the noise of mortar bombs coming in our direction, and these were not the ordinary single mortar bombs, but the dreaded ‘Nebelwerfers’, from multi-barrelled projectors, whose bombs were fitted with a brilliantly conceived siren causing them to wail as they flew through the air, with a terrifying effect. These Nebelwerfers came in three sizes, and could deliver bombs weighing 75lbs, 248lbs and 277lbs respectively. I didn’t wait to see which size had been selected for us but as the hedge between the road and the orchard where we had spent the night had conveniently been cut back close to the embankment I took a running jump and cleared it, forgetting the 2m drop on the other side! The bomb blast caught me in mid-air and I landed in a crumpled heap on the lower slope of the embankment. My left leg was very painfully bent, inwards from the knee, at a right angle! I was unable to move, so as soon as the firing had stopped I called out for help. Cpl Jimmy was first on the scene, soon to be joined by some men from my section, two of whom we sent off to get a stretcher. I sent another man to fetch my small-kit from the partially dug slit trench where I had left it. He quickly returned, holding the mangled remains of my mess tin, all that was left of my small-kit. It seems that one of the mortar bombs had scored a direct hit on my little excavation. Then a second salvo was on its way to us. I ordered my Sappers to get back under cover, but Jimmy refused to leave me, and I was not in a position to pull rank on him anyway. As the bombs started to land around us Jimmy crouched over me on all fours, a noble and brave action to try to protect me from further injury. The firing stopped again, and it was only much later that I learned that the other Cpl, Bill, had been killed when a large fragment of one of that second salvo had decapitated him. He was the guy who had been married just ten weeks earlier, on the same day as me. The lads arrived back with a stretcher, and together with Jimmy and my platoon officer, Bob Martin, they carried me shoulder high to a first aid post a couple of hundred yards away. There an MO and a couple of orderlies had set up a tent to cope with anything at the front line. When they had removed my gaiter and boot he ran his scissors the length of my trouser leg to reveal a knee that was beginning to swell like a football. They applied a wooden splint behind the knee, and waited for an ambulance to pass me further back up the line. I had to say good-bye and thanks to my comrades from 553, and they left me. The next stop for me was a casualty clearing station set up in an empty house, still very much within range of the battle, and we could hear shell-fire, some distant, some close. One of the casualties was a soldier suffering from severe battle fatigue, who became hysterical at every loud explosion. Eventually, after at least a couple of hours an ambulance was available to move us on. There was only room for one more stretcher case in the back, so I was asked by the MO if I could sit on a chair and in the absence of the orderly whose presence was needed by the driver, to restrain the shell-shock patient if he became alarmed by explosions on the way. This proved to be necessary when we drove along Banana Ridge where I had seen the Sherman tank knocked out. Once again the Germans seemed to have that area in there sights. I cannot remember whether or not we made another stop before reaching Bayeux, where at the south-west outskirts of the town the RAMC had set up the only hospital available within the area cleared of the enemy. This was a MASH-type of hospital entirely under canvas, including canvas flooring. It must have been about midnight when we arrived. All casualties were seen quickly by an MO, I think we were given a hot drink and then laid out on our stretchers on the floor, almost shoulder to shoulder and told to get to sleep. I don’t think I managed any sleep that night. My knee was continuing to swell and the bandage became too tight. One of the nursing sisters kindly loosened the bandage for me. But the main problem was that it happened to be the night of the 900 bomber raid on Caen, and as they crossed the coast the Germans put a a tremendous barrage of anti-aircraft fire, and I lay there waiting for jagged chunks of red-hot shrapnel to come through the canvas roof. From my experience of the Blitz in London I knew these were usually a little larger than one’s middle finger, very jagged and very hot. The saddest thing about that raid was, as we learned later, the Germans had by then almost evacuated from the centre of Caen, and the main people to suffer from that enormous air-raid were the French civilians. The next morning at 6am the MO was round again, and after taking a quick look at my knee told me to my astonishment, ‘We’ll send you home today’. After a good breakfast, which included some excellent French white crusty bread, we were moved outside to make room for the next lot, and to lie in the sunshine to await the arrival of the hospital ship. It was a long wait, and the sun was very hot. Eventually the ship arrived, and we were taken the short way down to the little port of Port-en-Bessin, transferred to launches which conveyed us to the hospital ship a mile or so off shore. This ship turned out to be one of the former Northern Ireland ferries, the ‘Duke of Lancaster’ with the passenger lounges converted to hospital wards, and cot beds screwed down to the floor. I was put into one of these and instructed by the orderly to get some sleep. I had been deprived of most of my sleep for at least three weeks, but in spite of the luxury of clean sheets and a pillow I could not fall asleep. The orderly came round again, and asked me if I had any pain. I most certainly had, so he went away and came back with a hypodermic needle, and administered a large dose of morphine. Oh my word, I could get hooked on that stuff! Within next to no time I was free of pain, and drifting away into a state of euphoria and sound sleep. I woke up, still very drowsy, as the ship was being unloaded under arc-lights at Southampton, ignoring the black-out regulations. Then we were transferred to a hospital train, a converted Royal Mail sorting train for a fairly short journey to Haslemere, Surrey. It was dawn on the Saturday morning as we were off-loaded at Haslemere and handed over to the RCAMC, who drove us at high speed up into the surrounding woods to the 22nd Canadian General Hospital, a 1600 bed fully equipped hospital, all in large wooden huts scattered around the site. Once again a quick look over by the MO, and tucked up into a real bed with white sheets and pillows, but still filthy and unwashed. But after another injection of euphoria I couldn’t care less, and I slept. It was the hymn-singing that woke me up. At first I wasn’t sure where I was or when it was. But soon I realised it was Sunday morning, and the morning service was on the radio. The hymn being sung was an old Isaac Watts hymn, ‘How pleased and blest was I’. I had been asleep for more than 24 hours. Soon an orderly came round, handing out Christian tracts as it happened. After introducing myself as a fellow Christian I asked him to procure for me some ablution kit so that I could wash and shave at last and begin to feel like a civilised human being again. After I had done that, he brought me some writing materials so that I could write to Pat. As I lay there, reflecting on the past few weeks, it came home to me that I was a survivor, and was unlikely to have any further part in Operation Overlord. I felt grateful to God for having brought me through it almost unscathed, at the same time I felt glad and proud to have been involved in this tremendous event. We felt even at the time that we were making history. A week later a train load of us were sent up to Wakefield, where I spent the next eleven weeks in Pinderfields Hospital. My treatment there included manipulation of the knee under anaesthetic, followed by two weeks in traction in a Thomas’s splint. I was discharged and posted to the RE Depot at Halifax at the end of September. This follows on from yesterday’s Part One of my Grandad Sid Marfleet’s memoirs about the Second World War, which should be read first. I had better say something about that ship. It was one of the many ‘Liberty Ships’ built at very great speed in America. It was named Fort Livingstone. The worst thing about it was the sanitary arrangements which for OR’s consisted of temporary wooden huts on the decks, containing bucket latrines, which by the end of the first day were overflowing, and no one seemed to have been detailed to empty them. The other problem was the compo-rations issued to us. There should have been a different variety for each day. Ours were all the same, comprising mainly hard biscuits, tinned sardines and tinned potato salad. Many of the blokes had been sea-sick, and the sight of potato mayonnaise did nothing to enhance our appetites. When eventually an American landing ship came alongside to off-load us we managed to con them into believing that our rations were better than theirs, and they agreed to swap a couple of boxes. Later that day we had a good chuckle at their expense as we tucked into their tins of chicken! On a more sombre note, as we waited on our ship we saw in the water around us a dozen or more corpses of American servicemen, wearing small life-jackets, all floating face downwards. These were no doubt casualties from Omaha beach, on our right flank, where a few days earlier their landing had gone disastrously wrong, although their comrades at Utah beach had almost a walk-over. We also watched as one of our own aircraft was shot down over the beaches by anti-aircraft fire. Then it was our turn to go down the scrambling nets at the side of the ship on to the landing craft and away to the beach where it was high tide and we went ashore through four feet of water. A couple of hundred yards inland we were directed by Redcaps to a stretch of unmade road where we paused to remove all the water-proofing from our vehicles. Apart from the flexible hoses to the air intake and from the exhausts, there was a doughy sort of stuff around the electrics, largely asbestos fibre mixed with some sort of gunge. This was dumped on to a long stretch of road where it served a useful purpose in suppressing dust. We were continually warned that ‘Dust is Dangerous’. A mile or two further on we arrived at our first location for an overnight stay, a pleasant little orchard. Close at hand was a lovely little stream, about the size of Hilden Brook, running between steep banks. This was sufficiently tempting for another NCO to agree with me that ‘cleanliness is next to godliness’, but on the boat it had been next to impossible. So we grabbed our ablution kit, and a change of underwear, and took ourselves off to the stream. It was neither a bath nor a shower, but a sort of mutual chuck-over, but so very welcome. As we stood there congratulating ourselves that we were probably the two cleanest soldiers in 21 Army Group, we heard a whine and a ping as rifle bullets started thudding into the bank above our heads. The Germans might have retreated but they had left a sniper in the area. We hastily found a safer corner where we could get into our clothes, and rejoined the rest of the company, and reported the presence of the sniper and the general direction he was firing from. Our platoon commander took note of it and was able to tell us later that the culprit had been located and appropriately dealt with. There was no more small arms fire, but the noise from the artillery was non-stop, day and night, some of it from our large battleships firing 15 inch shells over our heads towards Caen, about 8 miles away. Not far from there we noticed the bodies of four German soldiers lying on a bank. It was more than 24 hrs later that I saw a padre conducting a burial service there. It would have been bad for morale to leave any British corpses unburied, but there were quite a number of roadside graves where the fallen had been hastily buried in shallow graves. Each had an improvised cross, with one of the soldier’s two identity discs nailed to it. Some had green commando berets on the top of the crosses. The German dead had been buried in a similar way. 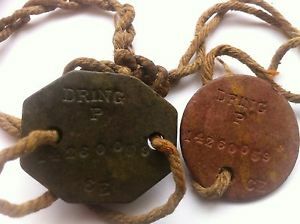 Whereas our identity discs, one green and one red, supposedly fireproof and waterproof respectively, were made of a hard fibre-like material, the German equivalent was an oval aluminium token perforated in the middle so that one portion could be nailed to the cross and the other retained for the record. After the war all these temporary burials were disinterred, and the bodies given a more dignified burial in one of the vast war cemeteries. We were soon on the move again, to the outskirts of the village of Cheux, which had been re-taken by the enemy in a counter attack, but had just been recaptured. On our way there we drove down the long straight road which runs between Bayeux and Caen. Somehow we missed the turning on the right which we should have taken and were surprised to find that we were well within sight of Caen. We were quite unaware at the time of the strong German defences screening Caen and its surroundings on a 15-mile front on that side, including the 12th SS Panzer Division whose armoured regiment was under the command of the legendary 33-year-old Colonel Kurt Meyer, a charismatic and ruthless leader, and a fanatical Nazi. He was supported by other Panzer units and had 158 88mm guns and 228 tanks. Even had we known all this we could not have produced a faster three-point turn in the road and departure at full throttle as the shells were bursting on the road behind us. On arrival near Cheux we took occupation of another small orchard, and were given instructions to dig slit trenches in case of a further break-through. My location was at the edge of the orchard, beside the small road leading to the village. Artillery fire continued during the night, mostly directed towards the Germans. Some time after midnight the Germans hit back, and landed a shell on the other side of the orchard about 50 or 60 yards from me, but right where our HQ section were positioned. There were several casualties, the worst being a member of that section who was hit in the lower abdomen by a very large piece of shrapnel, causing horrific injuries. We could not help feeling relieved in the morning when we learned that he had not survived the night. Our OC caught much of the blast, and became very deaf, certainly for some days. In the morning we moved into the village, which was already badly damaged. Our job was to add to the damage by demolishing a house on the corner of the narrow main street, where it was considered to be an obstruction to the field of view, and an obstacle to the tanks of the 11th Armoured Division, now being brought into action in the area. A pound or two of plastic explosive, a big bang and all we had was a heap of rubble to shovel into trucks. As we did so our divisional commander passed through, and paused to congratulate us on doing a good job in keeping the road clear. He had no idea that we were responsible for just blocking it. A little later at the same location we were alarmed by hearing machine-gun fire close at hand. A moment or two later a Canadian soldier appeared from one of the nearby cottages, holding a Sten gun and two very scrawny and very dead chickens, which had vainly sought refuge behind a settee! Later that day a large group of infantry soldiers from the 15th Scottish Division passed through the village in single file. They had obviously just come out of action, and were all traumatised. We tried to engage them in conversation, but they did not respond, and simply walked on staring ahead of them like zombies. This must have been about 28th June, halfway through Operation Epsom, Montgomery’s ill fated attempt to penetrate and hold territory across the little river Odon, later described by some as a bloody stream. That operation cost VIII Corps 4020 men, 2331 from 15th Scottish Division, and 1256 from 11th Armoured Division and 43rd Wessex Division. Something which will always be remembered by anyone who saw action in that part of France is the large number of cattle that were killed by artillery fire. Their bloated carcasses, legs in the air, lay around in the hot sun, polluting the atmosphere with the small of decaying flesh. Fortunately, as Engineers, we had access to mechanical equipment, and at times were able to call in a section of Sappers with a D4 Bulldozer to cover up any that were too close to us. Day by day we were gradually being moved south- eastwards into the salient from which Montgomery had hoped for a complete breakthrough, led by the 15th Scottish, 11th Armoured and the 43rd Wessex Divisions. The tanks had managed to force a crossing of the little river Odon, but the infantry of the 43rd, especially the Dorsets and the Somerset Light Infantry had paid a very heavy price in the battle for Hill 112 which changed hands several times in the course of a few days. In the 15th Scottish Division casualties were running at 50%. The River Odon in one place was blocked by corpses. This was a price too high, even for Monty and on 30th June he ordered an end to Epsom. As we edged our way forwards towards Mouen we were very much aware of the fierce battle still raging around us. The Germans still held the little airfield at Carpiquet, 5 miles west of Caen, in spite of attacks by rocket-firing Typhoons, which we witnessed from close quarters, and the Canadian infantry were repulsed several times after bitter hand-to-hand fighting with fanatical SS troops. We were halted within sight of Mouen, on a stretch of open road running between two large fields of ripe corn, containing masses of poppies. Believing the village to have been cleared of the enemy, a small group of us entered the outskirts but very soon came under mortar fire, so beat it back as fast as I dare drive the truck to ‘Banana Ridge’, where we found the rest of our platoon, also under fire. We hastily poured out of the truck and dived for the nearest slit trenches. The one I jumped into was already occupied by two men, one bleeding profusely from a shrapnel wound in the neck, the other trying to control the bleeding with a single wound dressing in his muddy hand. I gave him my own personal wound dressing, which we all carried, and left them to find another hole. By now a few Sherman tanks had arrived on the scene, and from my slit trench I watched with envy as they took shelter in their tank when the firing started again. 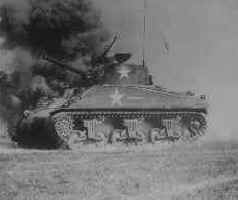 My envy turned to horror as the tank just 50 yards from me took a direct hit and immediately burst into flames. Two of the crew managed to get out and rolled themselves on the ground to extinguish the flames from their clothing. The others must have died. Final part to follow tomorrow.